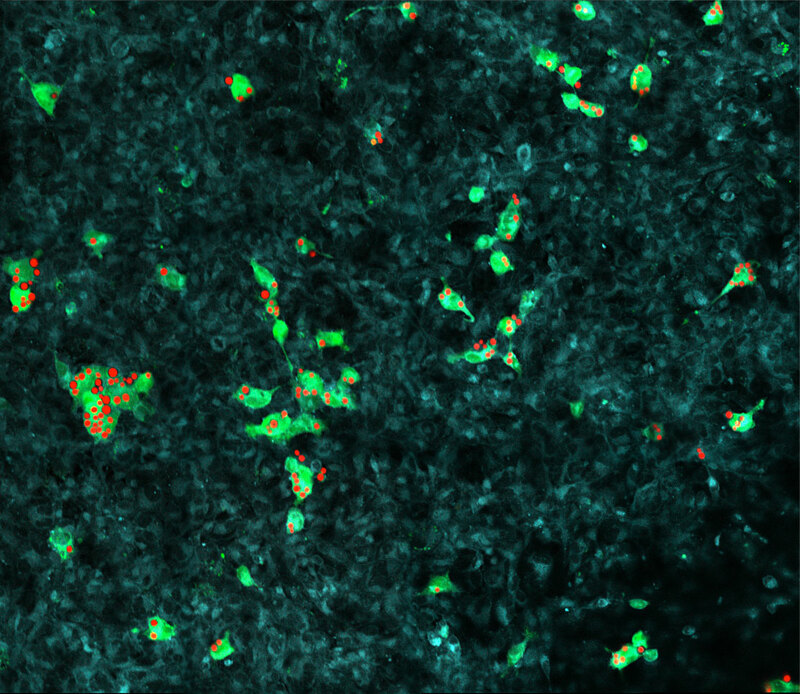 Human phagocytes (green) with engulfed cryptococci (red) interacting with a layer of brain endothelial cells (blue). Image by Felipe Santiago-Tirado. See Santiago-Tirado et al, 2017.